So far KnutsNetAdmin has created 18 blog entries. Brook Street Heritage site includes the chapel, graveyard, gardens, chapel hall and exhibition rooms. 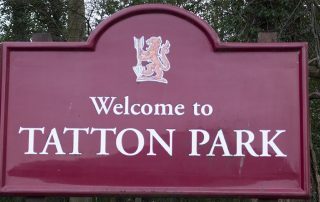 Tatton Park is a historic estate that may be accessed from the bottom of King Street in Knutsford. The second (main) entrance is at the Rostherne end of the park. The estate contains a mansion – Tatton Hall, a manor house dating from medieval times – Tatton Old Hall, gardens, a farm and a deer park of 2,000 acres (8.1 km2). Tatton Park is a popular visitor attraction and hosts over 100 events each year. The estate is owned by the National Trust, who administer it jointly with Cheshire East Council. Since 1999 it hosts North West England’s annual Royal Horticultural Flower show. The 2018 Knutsford Jog will be held on the Knutsford Moor on March 18th. The event opens at 9.30am to register (if not already done) and the Jog starts at 10:30am when the klaxon sounds. Finish is at 11:30am. Runners complete the lap if they are part way round at the end. The family run is an annual event organised by the Knutsford Rotary Club. Group Name: Vale Royal and Knutsford Ramblers. The rambling club runs a coach every fortnight, giving members the opportunity to visit attractive walking locations such as North Wales, the Peak District, the Lake District and the Yorkshire Dales without the need for a long car journey.